Self Help For Anxiety Shortcuts To Negate All Anxiety! Turn To Forgiveness And Love! These inspired self help for anxiety shortcuts will assist you to recognize anxiety symptoms within you and to understand what causes them to begin with. Learn how to avoid or change feelings of anxiety to better serve you. Remind yourself about that part of you which both causes and sustains feelings of anxiety in your life. The true definition of anxiety is concerning a perceived lack of time in one’s life. Whenever there’s automatic unconscious mental action in one’s daily life it can cause feelings of being overwhelmed which leads to stress. Ultimately anxiety can be traced back to a perceived fear of an imagined probable future event. Use these inspired self help for anxiety shortcuts to help you to realize that the State of Love never feels bad. In addition, learn, through the actions of compassion and forgiveness, how to move beyond anxiety and into a life of love, freedom and as much time as you’ll ever need! Inspired Self Help for Anxiety – React or Respond? Let’s say that you're driving along a busy road at a comfortable speed in your vehicle. Your family is in the vehicle with you and everyone’s feeling happy and relaxed. Then suddenly, there's another vehicle tailgating and stressing to pass you. What do you choose to do? Do you choose to react to the situation as you've done in the past or do you choose to respond? Your choice at this point is critical in determining whether your immediate future will be one of psychological and emotional anxiety that’s stressful to your mind and body, or one that’s happy, relaxed and loving. If you react by choosing to get anxious or deciding to get angry, then you’re setting yourself up for anxiety symptoms and stress in your near future! And all because in your mind: They shouldn’t be driving like that or They are stupid moron’s etcetera. Are you allowing stress-monkeys to trigger "road rage anxiety" within you? Your anxiety may only last a few minutes, but it could last a lot longer and it may even result in an accident if you persist with your behavioral action. And for what: just because you know that You are right and that They are wrong? On the other hand, if you respond you’ll simply choose to let the tailgaters pass as safely, quickly and as easily as possible. If that's not possible, you'll do what it takes to pull your vehicle to the side of the road and let the stressed-out tailgater pass, before safely rejoining the traffic. In that way you’ll avoid unnecessary anxiety. And all forms of anxiety are unnecessary! As you let the stressed-out tailgaters pass, observe how they immediately tailgate the next vehicle. This simple observation tells you that their action really has nothing to do with you, aside from offering you an opportunity to see if you've moved from the idea of reacting to the idea of responding, to see if you've really changed or not. We cannot and should not want to control another. Each of us creates our life experience through our vibrational state of being, consisting of our beliefs, emotions, thoughts and behavior. And the law of attraction simply manages all things that we’re vibrationally attracting in every moment. When you focus upon another’s wrong doing, more evidence of such perceived wrong doing must enter your experience. Some people, like tailgater's, whom I affectionately refer to as stress-monkeys, don’t yet understand conscious deliberate reality creation. Or perhaps they do, but they don’t agree with your values or your ideas of safety. The message here is that either way, it really doesn’t matter! Realize through these inspired self help for anxiety shortcuts that control in any form has never been an option, nor is it ever necessary! Each of us chooses the future outcome of our life experience based upon our, in the moment, behavior that’s determined by our beliefs, emotions and thoughts. It’s always best to refuse to pay attention to stress-monkey types. Just let them go their way and then they’ll disappear from your life forever! 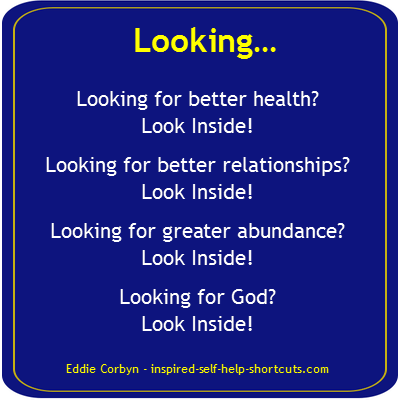 Our first point of choice is concerning the thoughts we now choose to focus upon, positive or negative. But notice how you feel when choosing to pay attention to any line of thought. It’s always our free will choice and ultimately no one can control the direction of our thoughts other than us! Understand (remember) that in life’s big picture there's no right or wrong, there’s only that which you now choose to focus upon and pay attention to, and thus consequently experience the essence of. Realize and thus know that good feeling thoughts always net you a positive future experience. If you cannot bring yourself to ignore the ideas and actions of others that you disapprove of and you still feel that you must, somehow, control the situation by focusing upon negative thoughts, then know that you’re setting yourself up for more anxiety and stress in your life. Any anxiety and anger you feel is due to your ego. 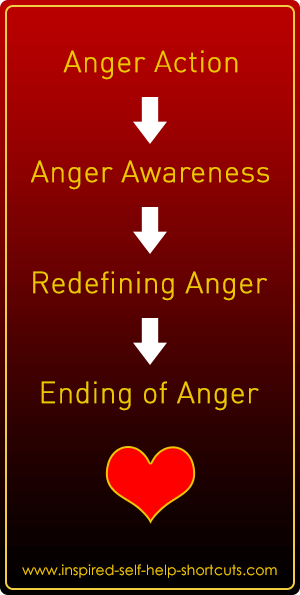 Learn to recognize anger within you right at that moment before it takes hold, by becoming aware of it and redefining it then it will simply pass! In order for these inspired self help for anxiety shortcuts to make more sense to you, it’ll be helpful for you to look within your mind to examine your ego-self personality construct. Reading this self help relationships page will shed some light on your personality’s place in affecting the action of your mind. 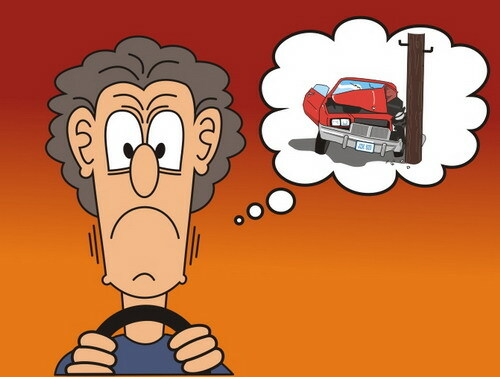 Many people drive their vehicles selfishly, erratically, dangerously or even insanely, because they don’t know the truth that the present moment of now is all there really is. Or more accurately they've forgotten that now is all there really is, so they're slaves to the clock or simply time-slaves. In many ways time is like an addictive drug. Think about it: how much of your day do you spend living by the clock or by the watch? What thing must you run away to do because of the time? Like a drug, you can choose to use time or you can succumb to time using you, it's always your choice. Once you consciously choose to live in and as the now, then you use time and are no longer a slave to it. And then consequently you always have enough time and are free from all anxiety and stress. If you're really struggling with symptoms of anxiety and stress "The Power of Now" by Eckhart Tolle, is a great book which explains the importance of living in the present. Here’s an unusual way of examining anxiety and stress. Imagine that all seven billion of the humans on this planet represent individual cells in the body of our magnificent Mother Earth. Conscious awakening and living life in happiness and joy are the ultimate intentions of the Earth and each cell within it. However, not all of the cells are at the same stage of awakening. Not all of the cells have realized conscious awakening or have remembered who they really are at this timing. Each cell is going its own way at its own pace, regardless of or in spite of what the other cells are doing. With this understanding in mind, it makes no sense to block or hinder another cell’s progress or decline. Surely, it makes sense to move out of the way of these stressed-out, time-slave cells and let them go their way, they’re going their way anyway regardless of what you want. In conclusion, unless you’re specifically asked, other than being yourself, there's nothing that you can do to help. And any unsolicited interference by you in the form of control, coercion, judgment and revenge etcetera, only affects you due to what I call Universal vibrational bounce back. From our limited four dimensional (4D = 3D of space + 1D of time) perspective of life on Earth, forgiveness may be one of the most difficult things to understand. Because we can’t see beyond the veil of our physical mind which limits our full conscious perception, we can't see the big picture in which what might seem wrong is always right. To go deeply into eliminating anxiety and stress from your life, it’s very helpful to consider and practice the art of forgiveness. The thing to understand about forgiveness is that everybody always does the thing that they believe will best serve them at the time they do it. Everyone's doing their best based upon what they know. Once they have more light on any particular subject then they'll make different choices and so they’ll experience different outcomes. they are through automatic forgiveness. Once we understand forgiveness, we realize that whatever perceived negative action another does that affects us; they did it because, like a child, they don't yet know any better. With this knowledge on hand it's easy and normal to automatically forgive everyone. Start practicing forgiveness right away, do it today, do it now! No one is ever wrong in their choice because they acted from the best of their ability at the time they made that choice. These inspired self help for anxiety shortcuts suggest that when going into the subject of forgiveness, on the deepest level, we also realize that someone who does something because they don't know any better cannot possibly be wrong in any way. And as such, forgiveness is never even necessary! Here’s yet another way of looking at healing anxiety. At the time of your anger or anxiety, catch yourself and ask: what would Love do now? Love is not limited to the word Love. Love exists prior to and in spite of all language, it’s beyond all language and beyond all labels. Love is the feeling of Love and more. Love is infinite intelligence and Love knows that it is the beauty of all life. Love also knows that all life is now. There's no fixed or real thing that we call time as a chronological or linear movement. That kind of time is a man-made artificial psychological construct or a social convention, which admittedly has its uses. However, in the big picture of eternity time doesn’t exist, there's only the present moment of now! Finally, these inspired self help for anxiety shortcuts suggest that what Love would do now is: whatever it is that upsets you, bless it and move along while staying in the feeling of Love. Spend your time in Love.